This is a color digital image of Peter Samson wearing a blue sweater and putting on earphone plugs with both of his hands. He is standing next to the PDP-1 mainframe. 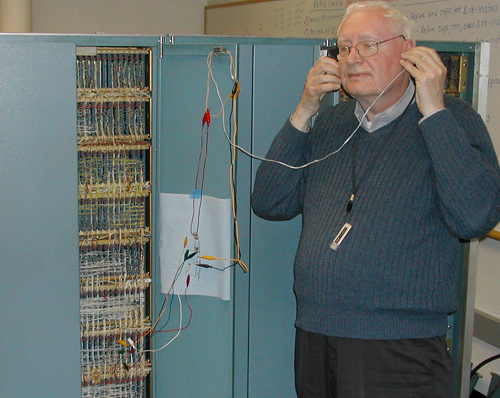 The earphones are connected to a series of wires that are directly hooked to one of the panels inside the PDP-1.